"Investing in yourself is the best investment you´ll ever make! BlueCoach is specialized in Leadership and Management Development and provides you with a professional and innovative coaching and training approach - whether it's for your Managers, Teams or for the Top Leaders of your organization. BlueCoach is reaching out for the Leader and Manager as a whole, considering and acknowledging her individual needs and wants to ensure a sustained performance for the person and the organization. 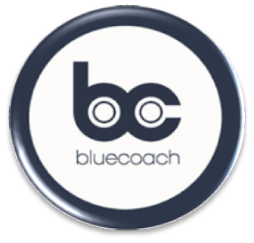 BlueCoach aims to create for Leaders and Managers an environment for individual growth, appreciation of what is, purposeful action, and sustained improvement. BlueCoach is committed and passionate to deliver and conceptualize top of the art hands on professional development solutions which make a difference.